The stars of the Arlington County Police Department’s viral synchronized swimming video will again be showing off their acting skills. 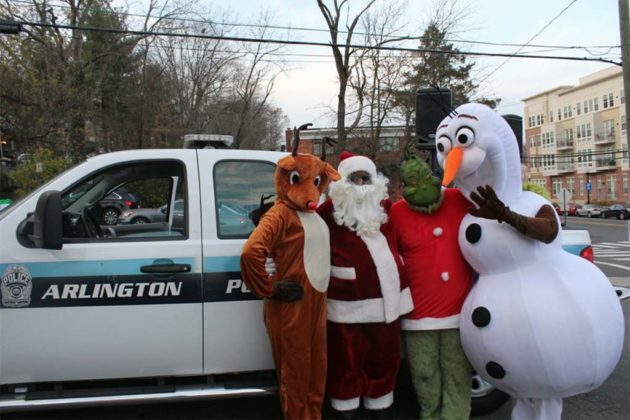 This coming Saturday, December 9, ACPD’s “Operation Santa” will visit at least 10 neighborhoods throughout December, spreading holiday cheer to children and adults in the community. Among the stops is the parking lot at Nottingham Elementary School (5900 Little Falls Road) at 11 a.m.
ACPD spokeswoman Ashley Savage said the same officers who starred in the swimming video will don costumes for the performances, which are free to attend. Members of ACPD’s Community Policing District Teams work with neighborhoods to designate dates, time and locations and help promote to the children in the community. 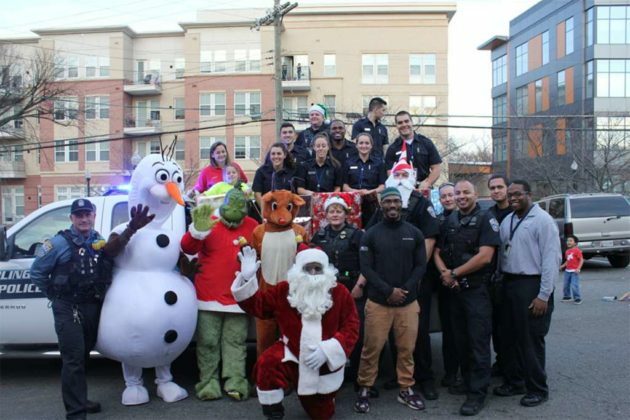 “It is an opportunity for the Department to give back to the community, spread holiday cheer, share an important message about the holidays and give the community another opportunity to get to know the men and women of the Arlington County Police Department,” Savage said. Savage said the officers involved are all currently working nights, so were not available for additional comment.